SOAR High School seniors, Jonathan Hernandez and Mery Alaberkyan, model “Eris,” a blood alcohol content detection bracelet along with their teacher, Rachel Thibault. Fourteen students formed a team and received a $9,200 grant from the Lemelson-Mit Program.They also demonstrated it to President Obama at the White House Science Fair. The Antelope Valley College held its 4th Annual STEMposium at the Hellenic Center where educators, students and businesses shared their accomplishments and expressed what is needed in the future workforce. Students from Knight, Palmdale, Tehachapi and SOAR high schools and the Palmdale Aerospace Academy presented some of their latest achievements. Keynote speaker, Dr. Daniel Manson, professor and department chair for Computer Information Systems at California State Polytechnic University, Pomona, teaches information systems auditing, internet security and computer forensics, and informed the audience of the importance of teaching students about cybersecurity. “We are already behind the curveball when it comes to cybersecurity. 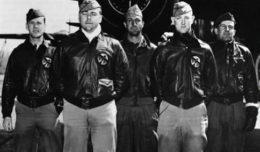 Students need 10,000 hours of cybersecurity before they start college,” said Dr. Manson who also hosts a weekly YouTube show on cybersecurity competitions at htt://cyberfed.org. “China and Russia start teaching their kids in cybersecurity in the third grade. We need to promote cybersecurity like we promote sports,” said Manson. With companies like Face Book, Google, Bing, banks and the government, millions, not thousands, of people are needed to keep the internet and other sites secure. Kimberly Maevers, president and CEO of the Greater Antelope Valley Economic Alliance said that hearing of the job opportunities in cyberspace was an eye-opener. 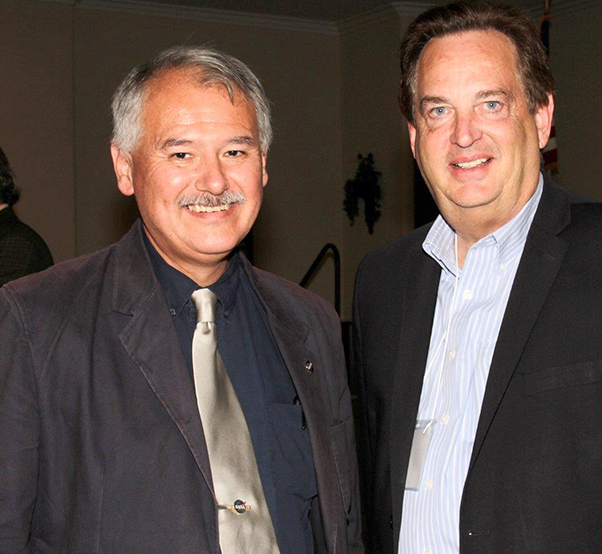 Special interest speaker Albion Bowers, (left) Chief Scientist at the NASA Neil A. Armstrong Flight Research Center, shared his experience about learning English and his accomplishments on The Prandtl-D Project cybersecurity during the fourth annual STEMposium. Dr. Daniel Manson, professor and department chair for Computer Information Systems at Cal Poly Pomona, shared the importance and need for teaching students about cybersecurity. Although supported by aerospace companies, it wasn’t flying contraptions that took the spotlight at the STEMposium. Three years ago 14 students from SOAR High School and their teacher, Rachel Thibault, were inspired by the Lemelson-Mit Program and spent their summer vacation trying to come up with a way to impact the community. 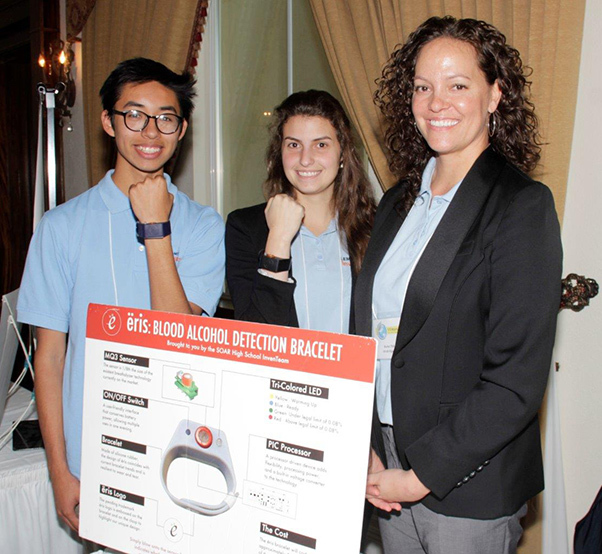 They stumbled onto an idea — “What if we came up with a blood alcohol detection wristband that was affordable, attractive, and easily accessible that somebody could wear to find out if they were not ok to drive after drinking,” explained Thibault. The InvenTeam of SOAR High School designed and developed a wristband and named it after the Greek goddess, Eris. The team has applied for a non-provisional U.S. Design patent, won an invention grant of $9,200 through the Lemelson-MIT Program and presented their invention to President Obama at the 2015 White House Science Fair. The bracelet will cost approximately $20, a fraction of the price of comparable breathalyzers.